The Costa del Sol – meaning the ‘Coast of the Sun’ in English – is one of the most popular tourist regions in Spain, and boasts an almost continuous line of resorts running the length of the coast, all of which are easily accessible if you hire a car. Situated on southern Spain’s Mediterranean coast, the Coast del Sol stretches 300 kilometres from Nerja to La Linea, and includes the popular city of Malaga and a range of towns and villages that cater for a variety of tastes, whether you want an action packed tourist resort holiday or a quiet break in the sun. The Costa del Sol also boasts some attractive beaches, charming coves, yachting marinas and bustling fishing ports. Away from the coast, you can enjoy some fantastic mountain scenery; in between the sleepy inland villages, orange, lemon and olive groves adorn the valleys. The best way to explore the Costa del Sol is to hire a car. 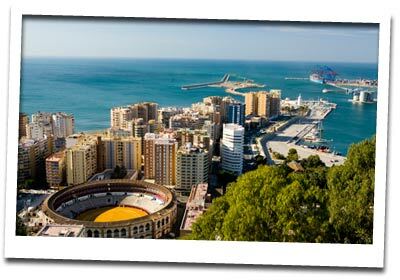 By arriving in Malaga and renting a car at Malaga Airport, you will find all the attractions of the Costa del Sol within easy reach, giving you the freedom to choose and when and where you want to go on this magnificent stretch of coastline. You can use your Malaga hire car to visit nearby resorts like Torremolinos, Fuengirola and Marbella, or to explore places such as Gibraltar or the Sierra Nevada National Park. You can also break up your holiday by driving through the Costa del Sol into Portugal to visit the Algarve coast. The main airport for the Costa del Sol region is Malaga Airport, and you can hire a car here. But if you’d like to take in the sights of the diversity and ambiance of the Spanish interior on your way, then you could fly to Seville, hire a car and drive to Costa del Sol. This will give you the opportunity to enjoy the amazing natural beauty of Spain’s Andalusia region.